Located directly on the Caribbean Sea, The Reef by CuisinArt is a gorgeous beachfront contemporary oasis featuring 80 suites, dramatic lobby entry and stunning bar, a fitness center with Technogym Excite Line, Unity Displays and aqua cycling bikes, a library and a boutique, complimentary watersports, and hard court play on the two tennis courts. The culinary teams have combined their global talents to create menus that will offer locally sourced items and ingredients from the Hydroponic Farm for the hotel’s restaurant outlets. The Yacht Club, which will feature brilliant nautical appointments and open to the spectacular pool, will serve breakfast and lunch, as well as a menu of inspired seafood selections for dinner. Breezes, a dazzling beachfront restaurant and bar, will draw those craving a relaxed Caribbean experience, and the calming sounds of the sea are the perfect accompaniment to a menu of unique beverage and food options. 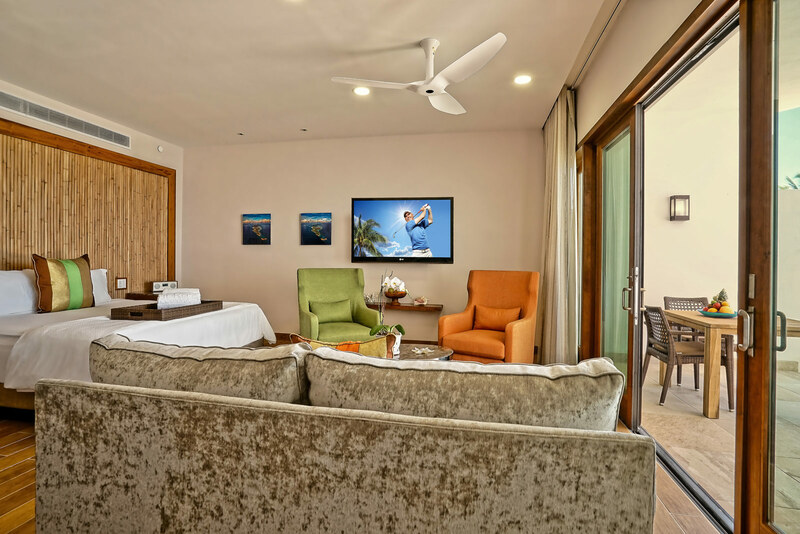 A member of Small Luxury Hotels of the World, The Reef’s 80 accommodations will include 25 Golfview Junior Suites and 25 Seaview Junior Suites in the main building. 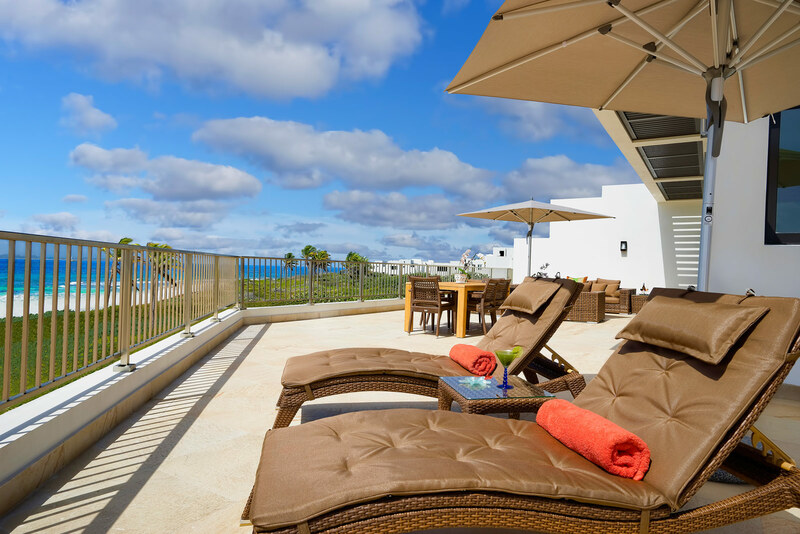 Four additional beachfront buildings will house 30 accommodations ranging from Beachfront Junior Suites to Corner Beachfront Junior Suites, Superior Beachfront Junior Suites, and Deluxe Beachfront Junior Suites, two of which will contain dramatic outdoor Jacuzzis. Accommodation amenities will include a TV system with state-of-the-art technology, bedside “smart” control panels, Tivoli Bluetooth enabled audio systems, and more. Bathroom amenities will include products by Rusk and L’Occitane, as well as double sinks, a separate shower, and a freestanding Alissa oval bath. As part of The Reef experience, guests will enjoy access to all amenities of CuisinArt Golf Resort & Spa, including preferential rates and tee times at the 18-hole Greg Norman Signature design championship course, full access to the award-winning Venus Spa, as well as signing privileges at all facilities and dining venues. Complimentary transportation will be provided throughout the estate. 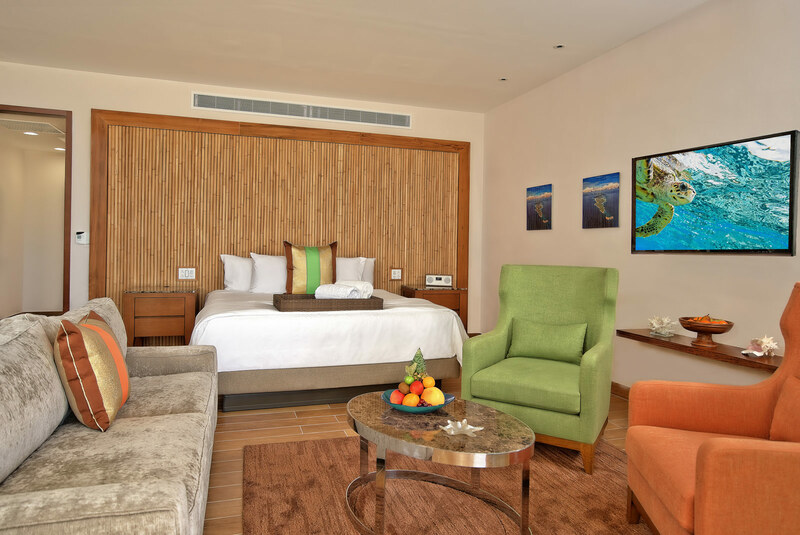 Rates at The Reef by CuisinArt will start at £394 per night (and from £274 per night between November 10th- December 17th 2016), and requests for advance reservations can be made via the Pre-Reservations Request Form on the web-site.